Night Hike Sticker Pack - 3 pc. Gifts > Night Hike Sticker Pack - 3 pc. Yayyyyy sticker packs. Yayyyy Heather Givans Night Hike for Windham Fabrics! 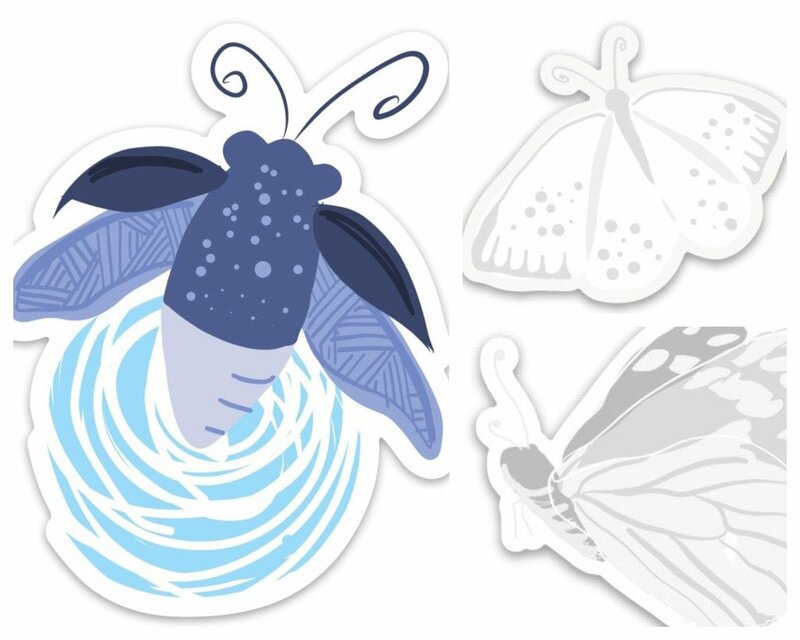 This pack includes (1) Lightning Bug sticker, (1) Night Flight sticker, and (1) Night Flight Returns sticker.